The Hydrogen House is a demonstration and visitor center for the exhibition of new hydrogen, solar, and low energy technology for the Austrian Mineral Oil Company OMV. Inside the building, computer animations, video sequences, and still images are projected onto a translucent fabric screen which divides the interior into two zones. When the interior lighting is shifted, visitors can see the cutting-edge energy system appear behind this screen. 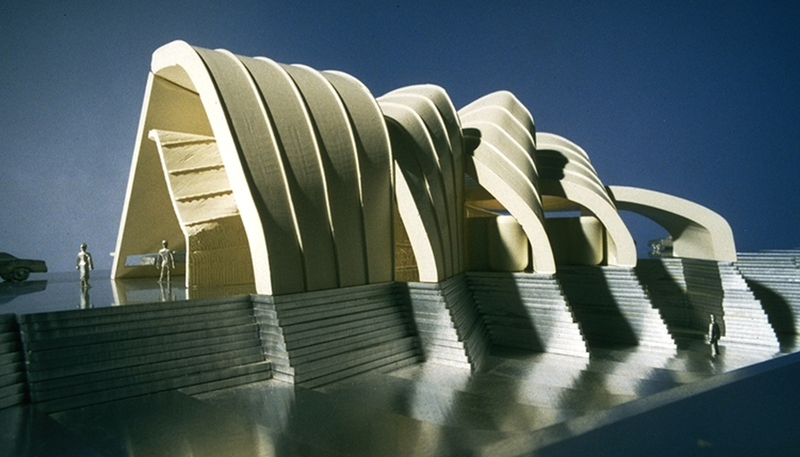 The overall form of the building and the alignment of its shading and photovoltaic cells were determined by a computer simulation of solar conditions, and the visual permeability of the pavilion's sweeping surfaces was calibrated by simulating views from autobahn traffic arriving and departing the city.